Installing a wind power system that offers a solid financial return depends on several factors. Despite how common wind farms have become, there is much more to the technology that just installing a lot of turbines in any open field. Several variables must be taken into account in order to determine the optimal location for a wind turbine. In fact, there can be scenarios where the best recommendation is not to invest in wind power at all, or to install an alternative technology such as photovoltaic modules. Solar and wind power can be combined, but the project layout must prevent wind turbines from casting shades on solar panels! Turbulence is probably the #1 enemy of wind power systems, since it can have a negative effect on both energy output and service life. Turbulence is a complex phenomenon, but it general it tends to decrease a you get farther up from ground level, and this is the main reason why high-mast wind turbines are preferred. Turbulence is also the reason why you don't see many wind turbines in cities. The sheer amount of buildings causes a lot of turbulence, and favorable locations for wind power are very limited - the best sites tend to be on top of tall buildings. 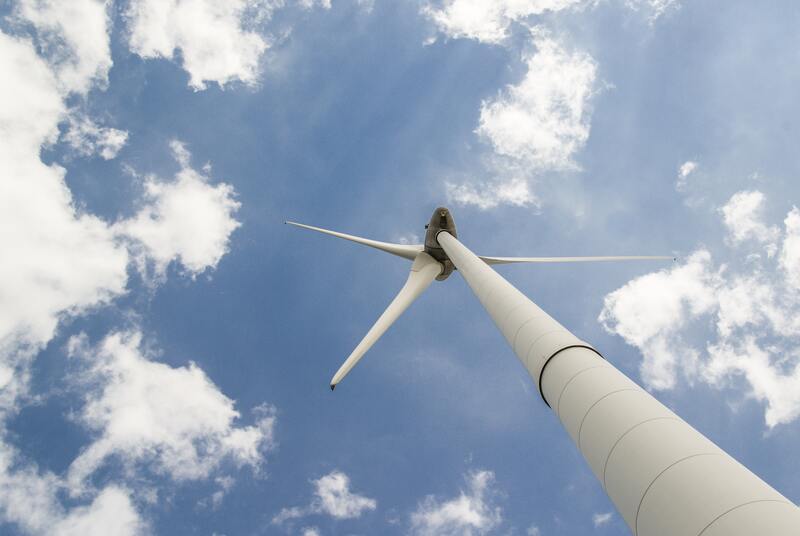 The importance of a proper site assessment can't be stressed enough: the relationship between wind speed and turbine output is approximately cubical, which means a 10% increase in wind speed translates into an increase of over 33% in power generation. This can also be unfavourable, however: if wind speed is 10% less than predicted, power output drops to 73%. Terrain features such as hills speed up the wind, causing pockets of turbulence where the installation of wind turbines must be avoided. However, installing wind turbines on top of hills is recommended nevertheless, to take advantage of the increased wind speed… the key is to find a spot that is turbulence-free, which is possible with a proper site survey. The capacity factor of a wind turbine is a ratio of total energy output to maximum possible output if the system operated around the clock. For example, a wind power system with a capacity factor 25% produces an amount of energy equivalent to working at full power for 6 hours (25% of a day). There is no “magic number” in terms of capacity factor, but investors will want it to be as high as possible: increasing a project's capacity factor from 20% to 30% drives up the energy production and revenue by roughly 50%. Wind power shows significant economies of scale. The reason is simple: a large wind turbine can be placed far above the ground and free from turbulence, which translates into more generation without increasing the installed capacity: a single 500-kW turbine will produce much more energy than 100 turbines with an individual capacity of 5 kilowatts. Another factor in favour of large turbines is that the relationship between rotor radius and power output is approximately cubical: Make a turbine rotor 10 times larger, and the power output becomes around 100 times higher!